AKIPRESS.COM - Kazakhstan has completed a $3.4 billion bailout of Tsesnabank, once the Central Asian nation’s second-biggest lender, after a state-controlled financial group took over the bank, hit by bad loans to the agricultural sector. 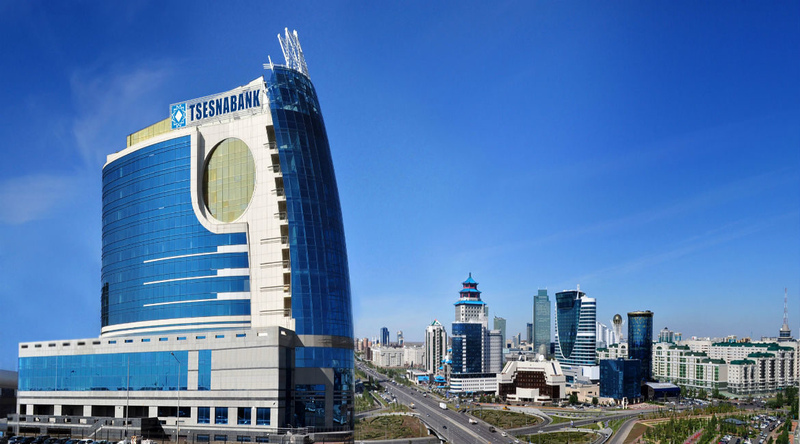 Local brokerage First Heartland Securities purchased a controlling stake in Tsesnabank for an undisclosed sum, the Kazakh central bank said on Wednesday, and the government has given a further $1.6 billion to Tsesnabank, on top of its initial $1.8 billion aid package, Reuters reported. “The package of measures implemented by the central bank and the government and the entry of a new investor have made it possible to restore Tsesnabank’s stability,” the central bank said. Sources told Reuters last month that authorities were urgently looking for a bank to take over Tsesnabank as they believed it needed new funds despite the initial package. The central bank said the state aid was necessary because agricultural companies, which were among Tsesnabank’s biggest borrowers, were unable to repay dollar-denominated loans after the local tenge currency lost half of its value in the 2015 switch to a free float. First Heartland Securities is part of a financial group ultimately controlled by state-owned Nazarbayev University and includes another lender, First Heartland Bank. Until Wednesday’s takeover, Tsesnabank had been controlled by the family of Adilbek Zhaksybekov, former chief of staff of President Nursultan Nazarbayev. Nazarbayev - who declared last April that bailouts worth nearly $10 billion for several banks in 2017 would be the last - told his ministers last week they were “cowards” for not doing enough to clean up the banking sector.